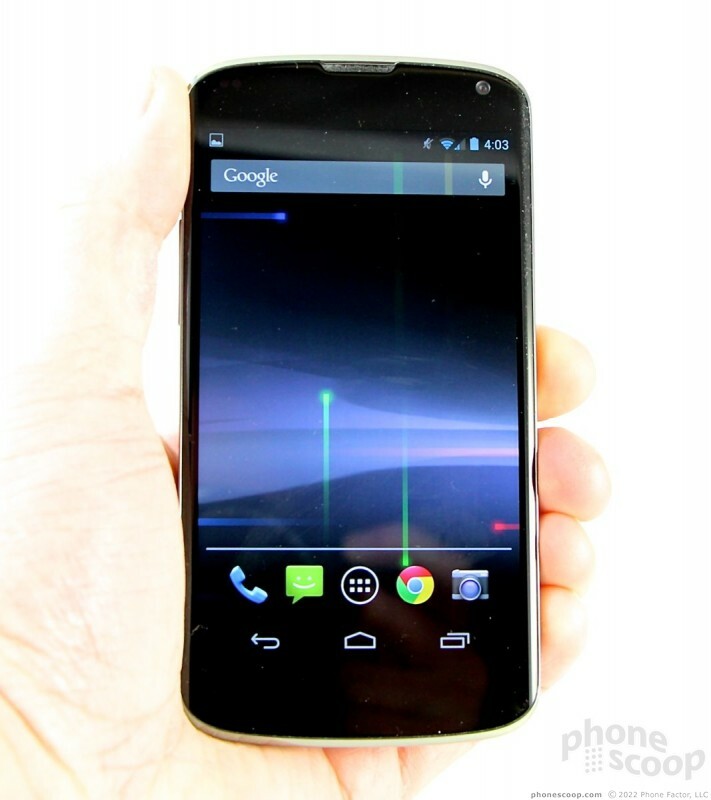 The Nexus 4 is the fourth-generation pure Android smartphone from Google. 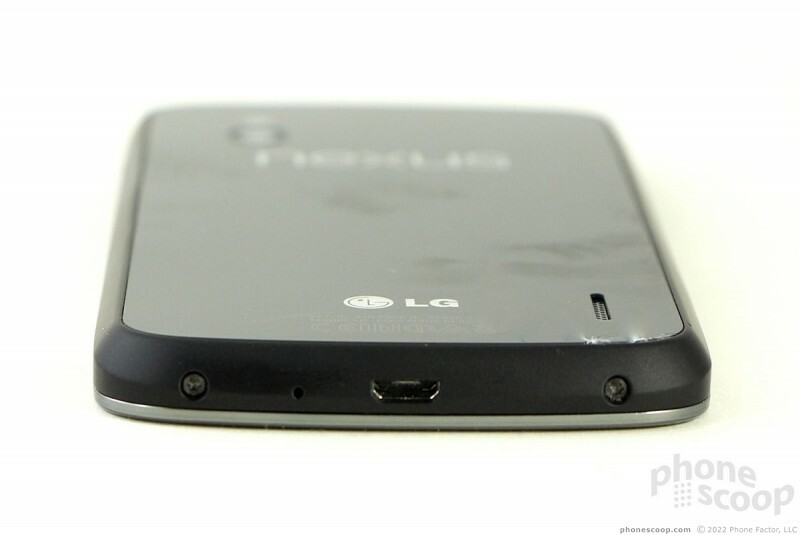 It is built by LG, and works on AT&T and T-Mobile USA's networks. 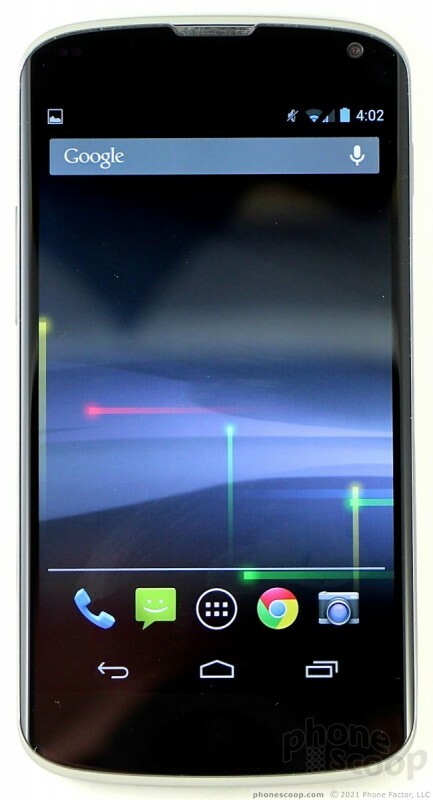 Unfortunately, the great Jelly Bean operating system outshines the hardware from LG. 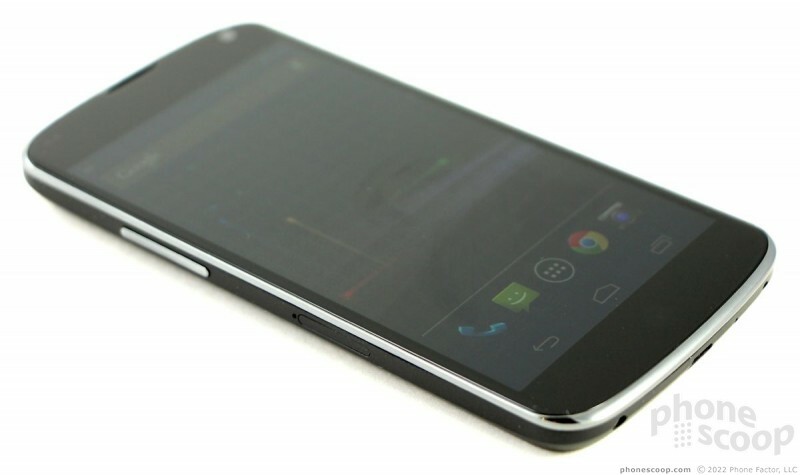 The Nexus 4 is for Android purists. It is one of the few devices to run a stock, unaltered version of Android and will be among the first to receive new system updates and features from Google. 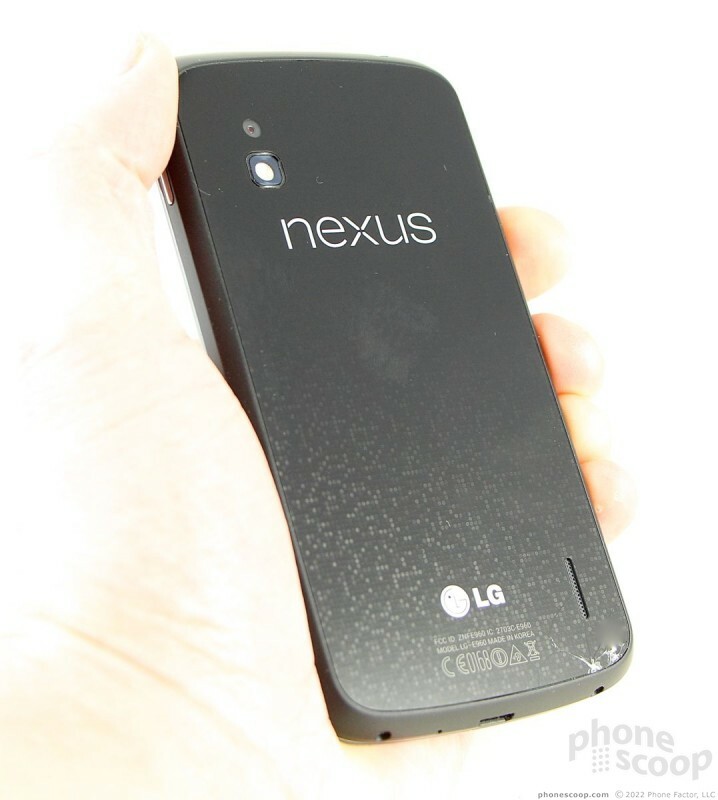 Like other Nexus devices before it, the Nexus 4 is a class-leading device with a few notable exceptions. 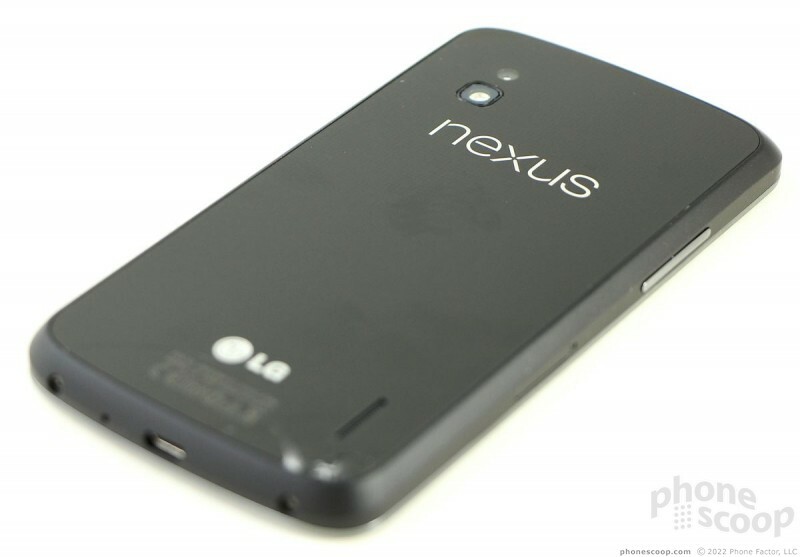 The Nexus 4 (N4) is based on LG's Optimus G, which was released earlier this year and is sold by AT&T and Sprint. There are subtle and important differences in the hardware, though, that make the N4 a unique device. 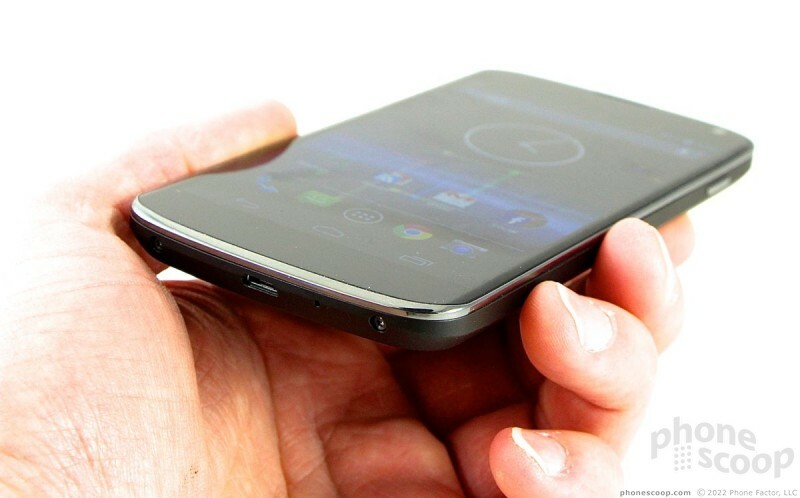 It has the unmistakable shape of a Nexus device. Where the Optimus G is rectangular and blocky, the N4 has gentle curves forming the bottom and top edges that give it a pleasing look. From several feet away, it could almost be confused with last year's Galaxy Nexus, which was made by Samsung. 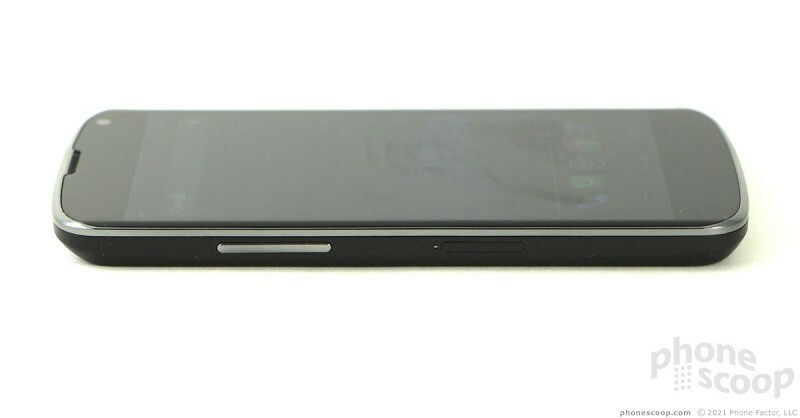 The N4 is a black slab with glass on the front and a glass-like material on the back. It's glossy and highly reflective. It's a little on the conservative side, but in a good way. The N4's glass front is rounded off at the edges and merges seamlessly with the plastic material that encircles the phone. 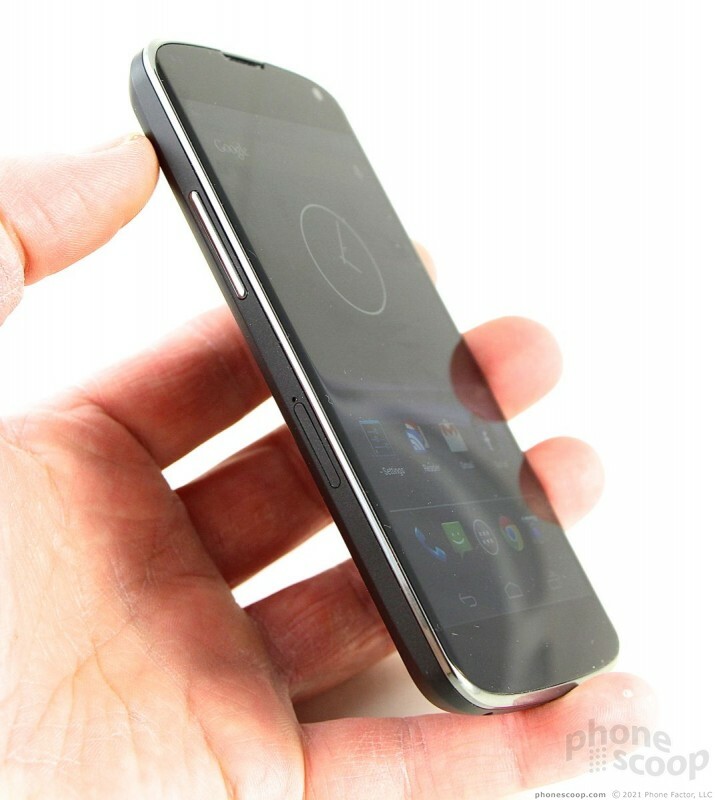 The edges taper away from the front surface to the back, reducing the footprint in your palm just a little bit. 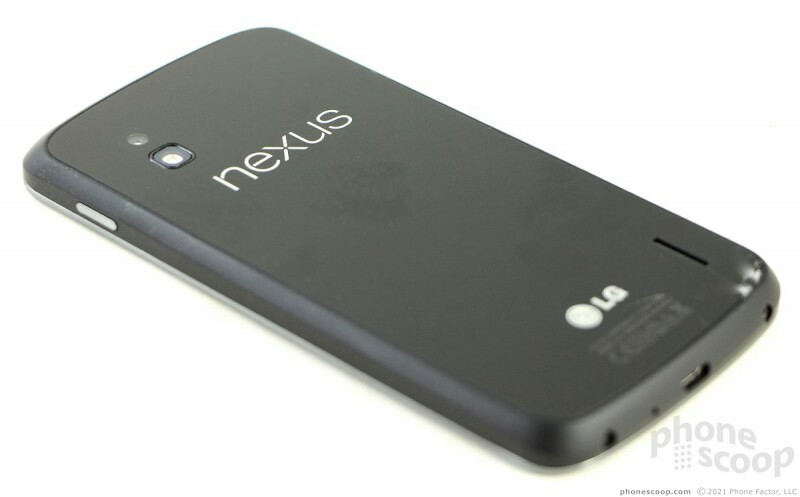 The Nexus 4 feels great to hold and use. It's comfortable, and easily slips in and out of pockets. It's noticeably better than the Optimus G when it comes to feel. The glass is what I like about the N4 the most — and the least. The display (naturally) and the back panel are glass (or something glass-like.) The back panel has a pattern under the surface that can be seen when you tilt it in direct light. It has a cool effect that I like. Also, glass is better than plastic in my book. One thing I have historically disliked about so many of LG's smartphones are the cheap materials. The N4 is different. The glass really ramps up the feeling of quality. But that back panel is easily breakable. The N4 dropped two feet from my car door to my driveway and the back panel cracked along the bottom edge. Yeah, I'm pretty mad about it. The volume toggle, which is on the left edge, is certainly a cinch to find, but travel and feedback is somewhat mushy. The lock button, on the right edge, is much better. It's easy to find and has excellent travel and feedback. The headphone jack is on top and the micro-USB port is on the bottom. There is no dedicated camera button. There are also two exposed screws on the bottom, holding the entire assembly together. The N4 uses a micro-SIM card that sits in a little tray. The SIM card can be accessed with the help of a paperclip. 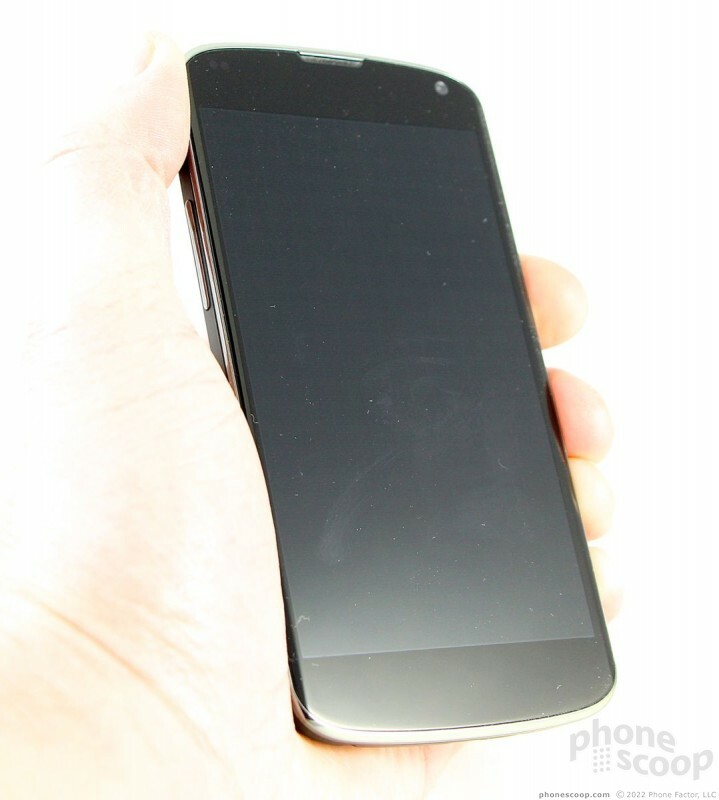 The N4 does not have a removable battery; it's sealed inside. It also does not have an accessible memory card. 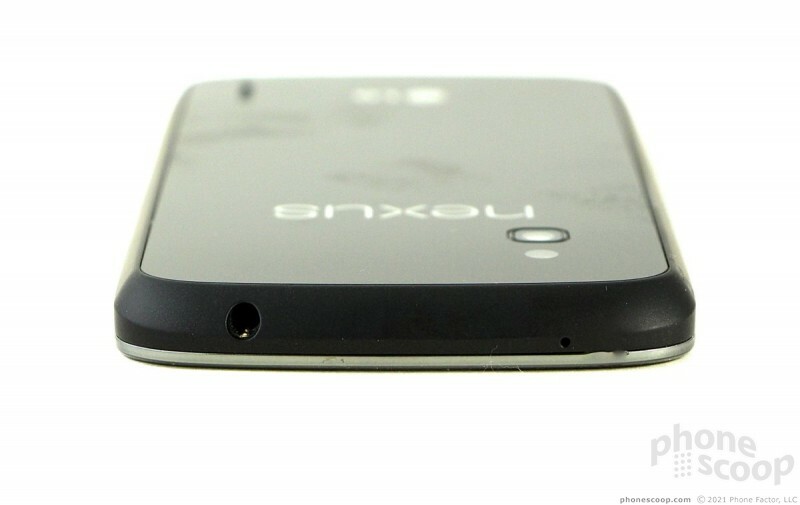 The Nexus 4 ships with either 8GB or 16GB of internal storage, and that's all you get. The N4 feels worlds better to me than 2011's Galaxy Nexus. It is a comfortable piece of hardware to hold and use, but the breakable back panel really sours my overall feelings for the materials chosen by LG. Google today announced a small update to its Android platform. 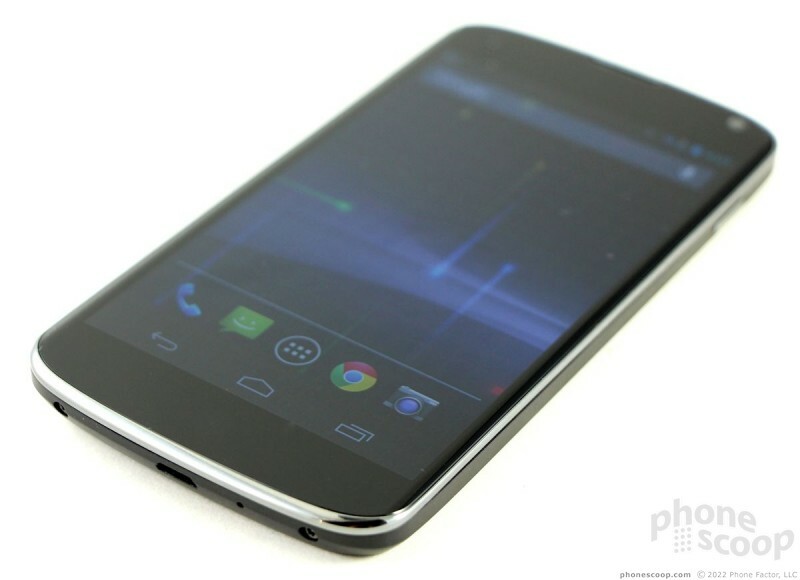 Android 4.2, still called Jelly Bean, adds several new features. Big shock, another crummy LG. I was not thrilled when I first heard that Google picked LG. Maybe they will go back to Samsung next year. For $299 out of contract is a nice phone. I like the hardware and it was a good replacement for my old HTC Desire HD (inspire 4G on the US). I'm shocked battery life is that bad considering this thing lacks LTE. Nobody wondered how the iPhone 5 justified it's price. We know it doesn't, we didn't wonder. LG has been an imitator more than an innovator. They are so sad that they are rarely ever named in Apple's notorious lawsuits (and we KNOW just how SHY Apple is when it comes to naming defendants, don't we). Not to mention, LG's Corporate culture is kind of jerky and arrogant without any real reason to support it. If I was a public corporate figure for LG, I would be humble and listen to my customers (like Apple in their early years).